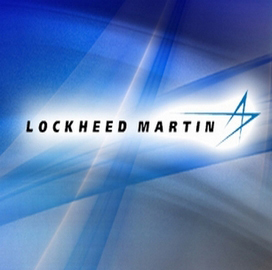 Patricia Lewis, Lockheed Martin’s senior vice president of human resources, has discussed the company’s strategy to recruit and retain its cyber personnel, the Washington Business Journal reported Thursday. Lewis told the Business Journal’s Jill Aitoro that Lockheed has worked to cyber talent from universities, offer retention pay and salaries based on market standards and put incentives in the company’s hiring process such as sign-on and referral bonuses. “We are very focused on referral process, and using our internal talent to identify folks that might have an interest in pursuing full-scope [polygraphs],” she told the publication. “We’re really trying to attract the college-level hire, but at the same time, some programs require the experience base, so then we have to work on attracting talent from other companies,” Lewis said to the Business Journal. Lewis said Lockheed intends to invest in programs that work to help grow cyber skills in individuals with different backgrounds, the report says. She added that acquisition is one factor that contributes to the company’s recruitment strategy, the Journal reports. “The acquisitions we’ve made have been strategic, either because we want to expand into commercial markets, or grow the base of skills,” Lewis told Aitoro.